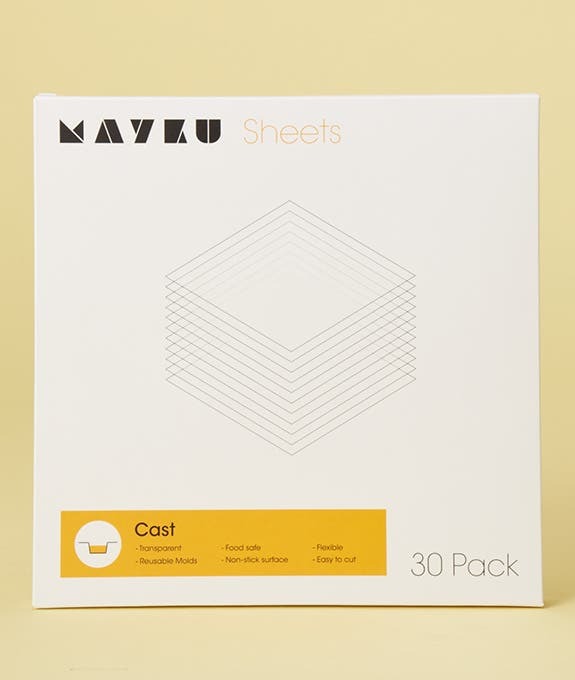 Mayku Cast Sheets are pre-cut specially for your FormBox. They are transparent, food safe and reusable. The material is PETG (Polyethylene Terephthalate Glycol), which is an amorphous thermoplastic. The surface is non-stick and smooth to the touch. 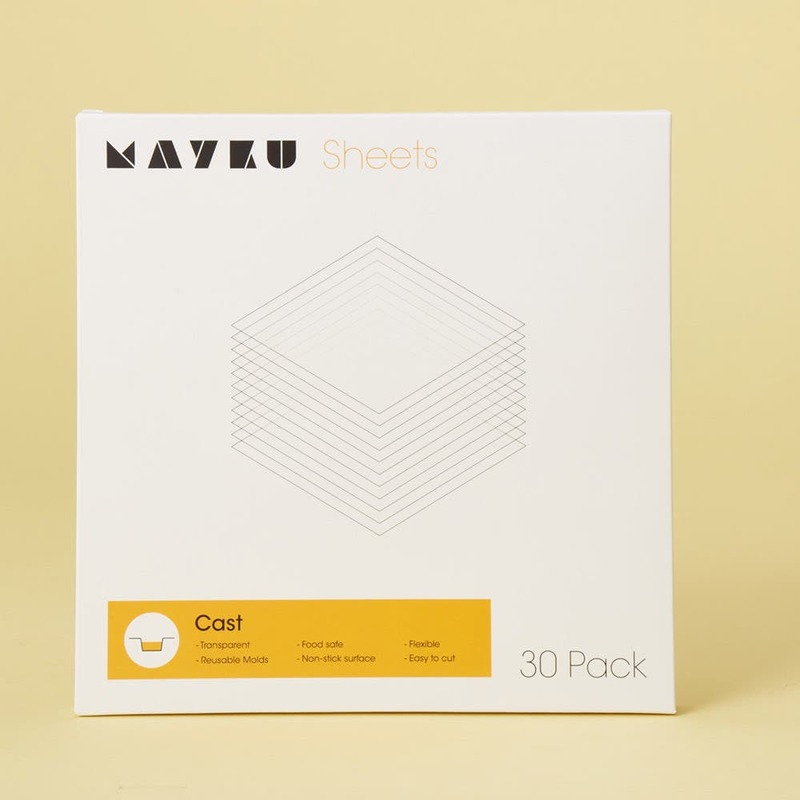 The sheets are fully recyclable and are made from partly recycled waste. Make your forms faster and more productively than ever with these sheets. PETG is a superior material for casting. Virtually nothing sticks to it. Use concrete, plaster, silicone, clay, resin, foam, moulding sand, jelly, chocolate… whatever creations you have in mind, you can cast them without fear of sticking with these sheets.